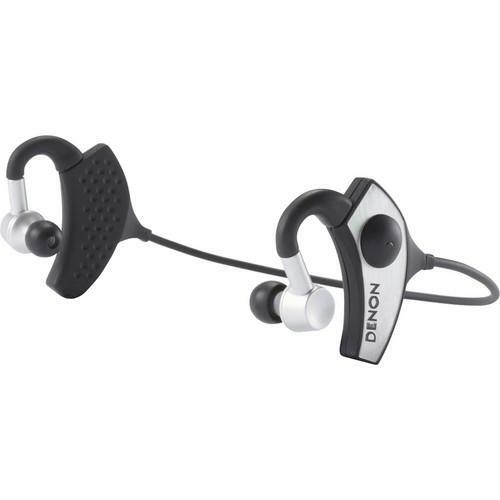 We recommend checking out our discussion threads on the Denon Globe Cruiser Wireless, Noise-Isolating, In-Ear AH-W200, which address similar problems with connecting and setting up Bluetooth Headphones Denon. The user manual for the Denon Globe Cruiser Wireless, Noise-Isolating, In-Ear AH-W200 provides necessary instructions for the proper use of the product Mobile - Headphones - Bluetooth Headphones. The Denon Globe Cruiser Wireless, Noise-Isolating, In-Ear Headphones are aimed at the frequent business traveler, and offer luxury design, CD-quality sound, and host of convenient features. The headphones support Bluetooth 3.0, and both the aptX and AAC codecs. They feature an integrated amplifier and 11.5mm dynamic drivers, and reproduce an impressive frequency range of 5 Hz to 25 kHz. A built in mic and onboard controls let you make and take calls on an iPhone or other Bluetooth smartphone, and control play, pause, and volume on an iPhone, iPad, or iPhone. A rechargeable battery powers the headphones, providing five hours of life between charges. A micro-USB cable is included for charging directly from your laptop. If your battery does run out of power, use the included audio cable to continue listening. In order to ensure the best fit and the maximum amount of noise isolation, Denon includes four different sizes of Silicon Ear Tips, as well as one pair of Comply Foam TX-400M Ear Tips. You also get an airline adapter for connecting to the two-pronged jacks used in airline sound systems. Download the Denon Travel Smartphone app to get even more functionality from your Globe Cruiser headphones. The app lets you play your stored music on your iPhone or Android device, create custom playlists on the go, launch travel apps from inside the Denon application, create and store custom EQ curves, and access over 70,000 Internet radio stations. If you own a Denon bluetooth headphones and have a user manual in electronic form, you can upload it to this website using the link on the right side of the screen. Box Dimensions (LxWxH) 7.8 x 5.7 x 2.2"
The user manual for the Denon Globe Cruiser Wireless, Noise-Isolating, In-Ear AH-W200 can be downloaded in .pdf format if it did not come with your new bluetooth headphones, although the seller is required to supply one. It is also quite common that customers throw out the user manual with the box, or put the CD away somewhere and then can’t find it. That’s why we and other Denon users keep a unique electronic library for Denon bluetooth headphoness, where you can use our link to download the user manual for the Denon Globe Cruiser Wireless, Noise-Isolating, In-Ear AH-W200. The user manual lists all of the functions of the Denon Globe Cruiser Wireless, Noise-Isolating, In-Ear AH-W200, all the basic and advanced features and tells you how to use the bluetooth headphones. The manual also provides troubleshooting for common problems. Even greater detail is provided by the service manual, which is not typically shipped with the product, but which can often be downloaded from Denon service. If you want to help expand our database, you can upload a link to this website to download a user manual or service manual, ideally in .pdf format. These pages are created by you – users of the Denon Globe Cruiser Wireless, Noise-Isolating, In-Ear AH-W200. User manuals are also available on the Denon website under Mobile - Headphones - Bluetooth Headphones.